Did you know that today is World Water Day? I am so excited to be teaming up with Brita Canada to help spread the word about their partnership with ME to WE . I first heard about ME to WE when my eight year old came home from school several months back and told me all about this amazing Rafiki bracelet she learnt about at school , that helped give women in Kenya jobs to provide a better life for their families. I was already a huge fan of Brita before I partnered with them for this program. Our family doesn't believe in purchasing disposable water bottles because of their negative effects on the environment (plus, what a waste of money - the average consumer spends $500 a year on bottled water). We always have a Brita pitcher in our fridge filled with water. 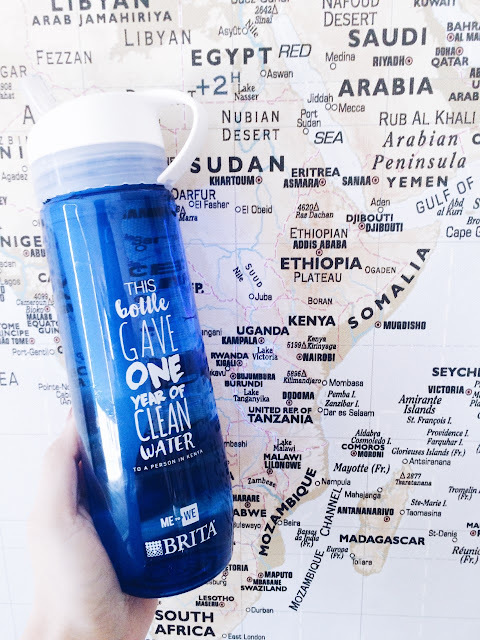 Brita has released a limited edition ME to WE Brita Statement bottle and every bottle purchased will supply A YEAR supply of clean water to a person in Irkaat, Kenya. All ME to WE Brita products come with a Track Your Impact code so consumers can track exactly where and how their purchase has made an impact by going online and entering their unique code. 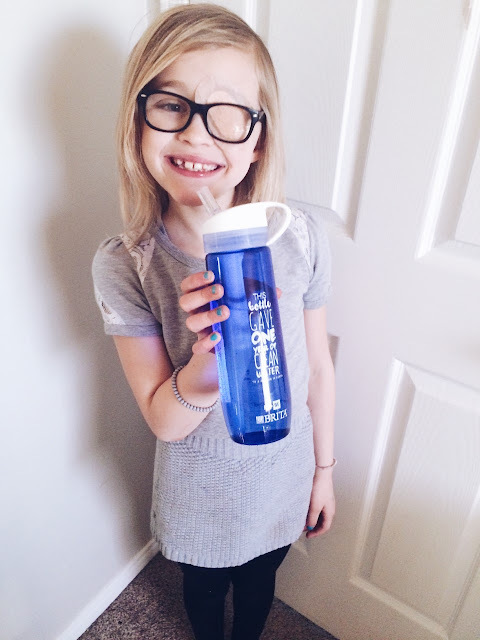 My daughter was so excited when I told her that we would be receiving a special water bottle that would be helping someone so far away, we have always instilled the importance of giving to those in need. She couldn't believe that there were people in the world without access to clean drinking water. She asked if she could buy a bottle of her own so she could help even more people in need. This girl seriously has the biggest heart. If you want to help you can purchase one of these limited edition statement bottles for $19.99 at Wal-Mart, Real Canadian Superstore, Real Atlantic Superstore, Loblaws and Zhers locations.